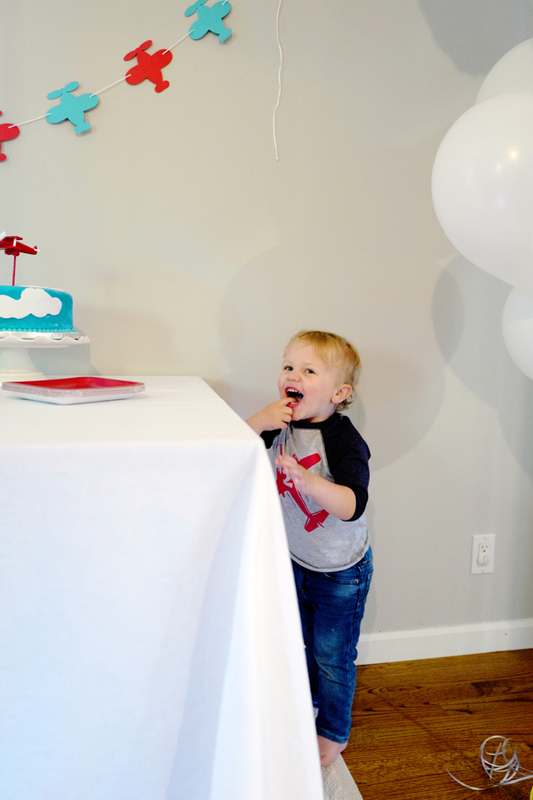 We officially have a two-year-old! So far, he isn't terrible at all. Keeping with the tradition we started last year, Nick and I took off from work on Will's birthday so we could spend the entire day as a family. We went to the Monterrey Bay Aquarium, which was perfect timing since we just got back from Kauai, where Will loved spotting fish in the "o-in" but had yet to see anything like the "big ones" at the aquarium! 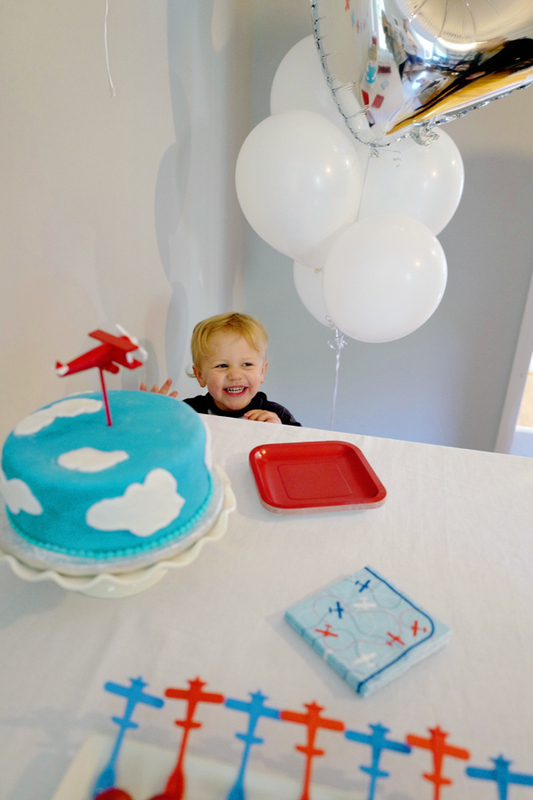 He continues to be absolutely obsessed with airplanes, so we had a small airplane-themed party at our home with Will's grandparents and nearby uncles. 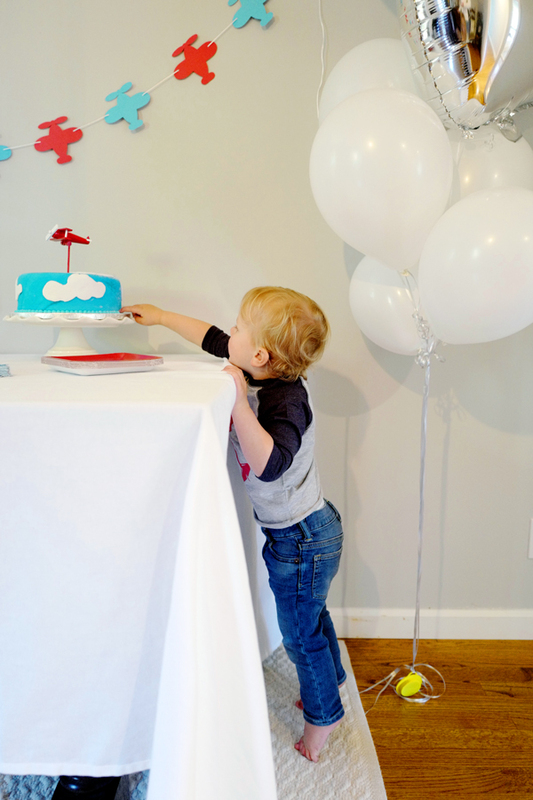 I'm all for keeping parties small and simple at this age, and our wonderful parents brought the food and desserts so Nick and I could focus on the birthday boy. 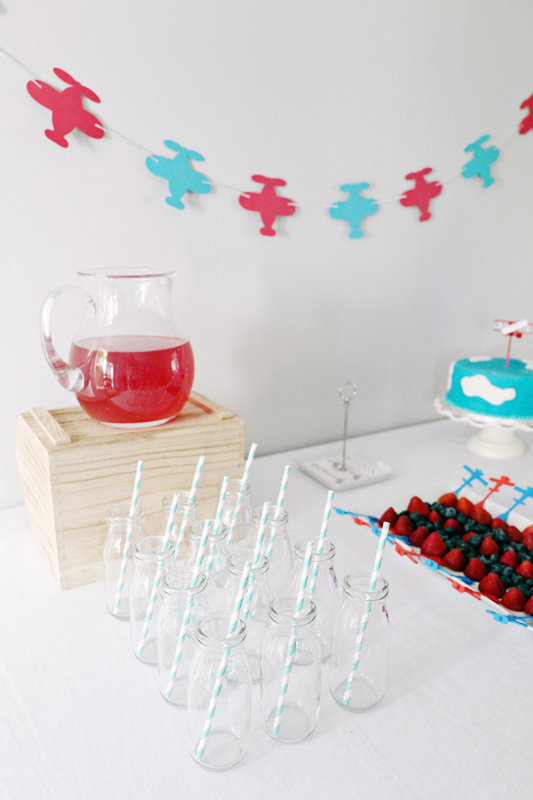 I love a fun dessert table! 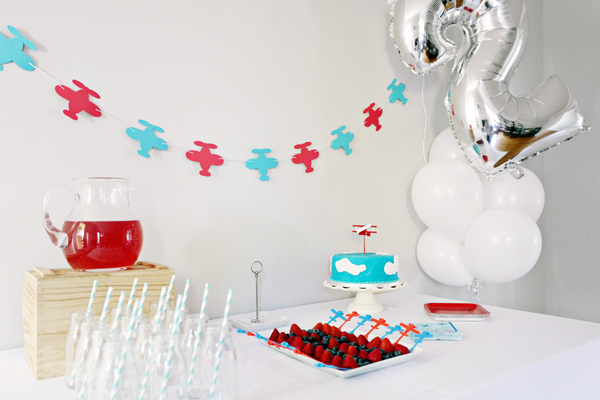 An airplane banner, tiny airplane forks, an adorable airplane cake topper, and color-coordinated drinks helped with our red-and-blue aviation theme. 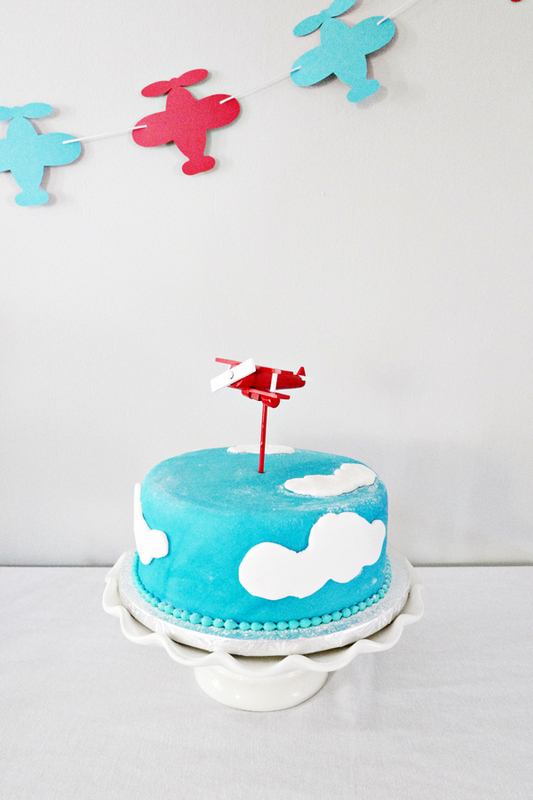 Big thanks to my mom for bringing the perfect cloudy skies cake! ...because you only turn two once! 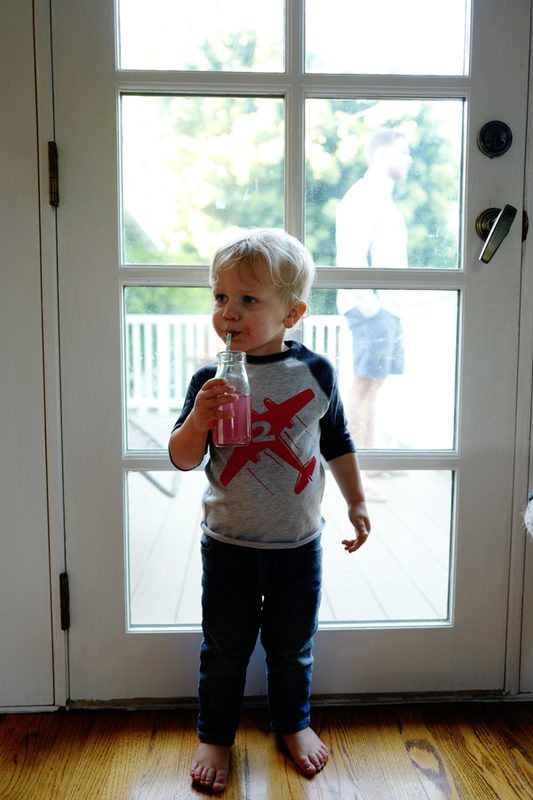 Our two-year-old rocking his special birthday shirt—and some crumbs and BBQ sauce on his face. Will covered his ears when everyone sung happy birthday, but ever since, he's been requesting that Nick and I sing it to him. 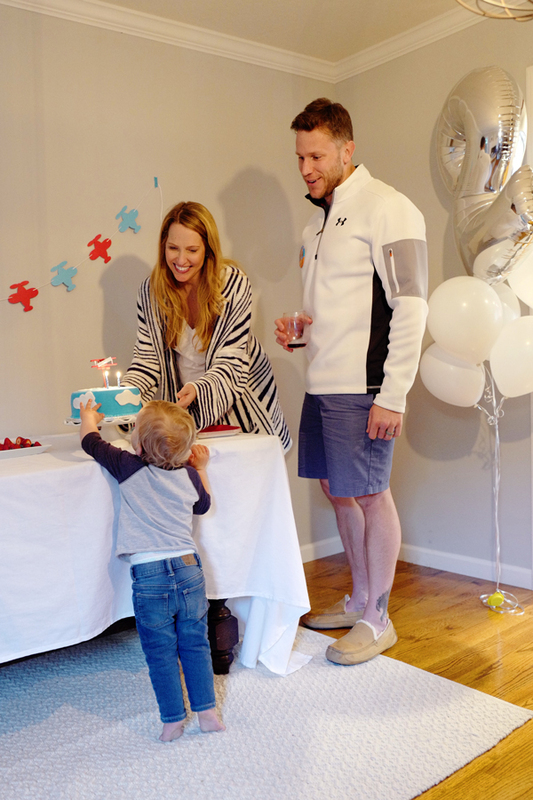 We even heard him singing happy birthday to himself in his crib—adding in the names of his friends and grandparents—a few nights ago. Two is certainly off to a sweet start! Time flies! 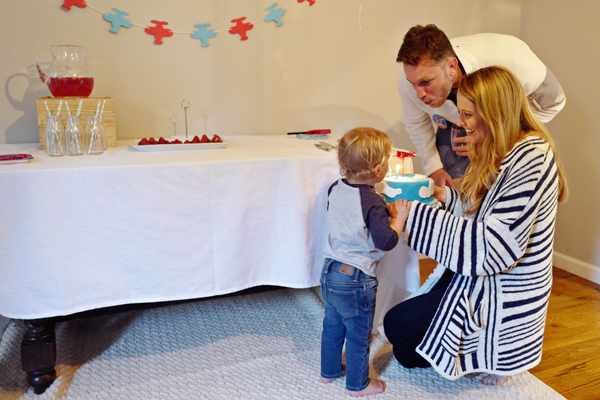 One year ago: Will's first birthday. 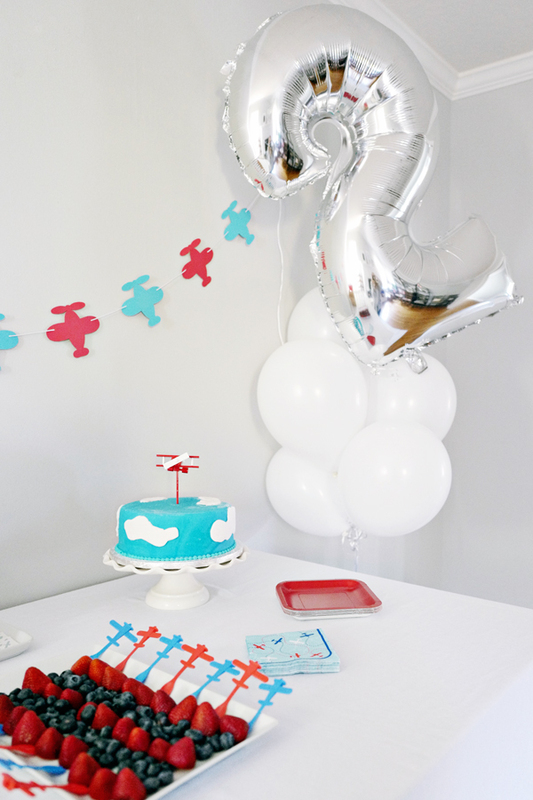 I can't believe he's already two! You guys are so cute. Happy B-day Will!!! !